This entry was posted on November 25, 2018 at 12:33 pm	and is filed under deep adaptation, Uncategorized. You can follow any responses to this entry through the RSS 2.0 feed. You can leave a response, or trackback from your own site. Couldn’t the retreat be in the UK to reduce carbon emissions? Amazing how people cannot just *stop* and live/learn where they are, instead of Consuming just one more Experience. The combination of lack of self-awareness along with high self-regard is something our race cannot escape even In Extremis, it would seem. I’d be interested in this kind of gathering, but flying somewhere to discuss our personal relationship with climate catastrophe would fill me with such a sense of internal discordance, and a loss of moral compass. Why not have this event in the UK? It’s beautiful here in June. How do you justify this??? But no hard feelings — have fun! 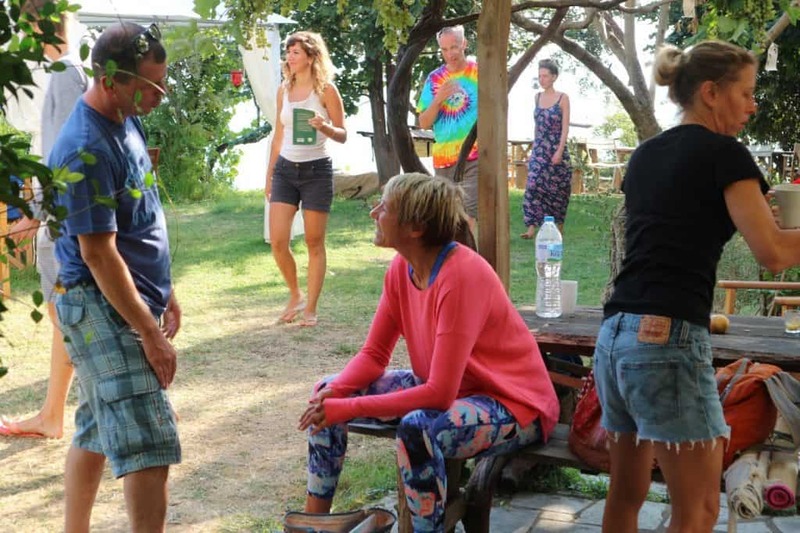 I’m really surprised and shocked to read about this retreat…. being in Greece, and therefore encouraging people to fly. Can’t we connect with each other, support each other, listen to each other, process our grief, start to think about how to live etc without flying (and spending a large sum, 500 euros exc flight)? I don’t think this is a good idea AT ALL. Sorry to be so negative, I don’t generally comment negatively BTL, but this is really off. It shocks and nauseates me the same way as Davos – billionaires flying in on 1500 private jets to discuss poverty and climate change. If this is what those of us who are awake to climate breakdown are going to spend our time doing, then I fear the absolute worst. Very disheartening. I must say I feel the same way. The importance of walking the talk not just talking it. Thanks for the quick response, Matslats. I have read that article, and I still don’t buy it because….. there are just as good, if different, alternatives. Such as: virtual meetings, bottom up local XR-type networking (rather than just relying on one key individual alone to spread the message), and, even though you mention it only to apparently dismiss it, travelling overland to meet the audience rather than the audience flying to meet you, like Greta Thenberg at Davos who travelled 32 hours by train to get to those massed billionnaires. I would even suggest they are better alternatives, because they are in alignment with our aims, and not jarringly counter to them. (of course you can criticise someone driving, or even existing, in this modern world where everything is outsourced to underpaid suffering fellow humans in far-off places, but that is what-iffery which avoids the issue here which is the *massive* carbon footprint of everyone flying to a Greek Island “retreat”). Jem will be speaking at that GEN conference and others via videolink! I’m really glad to hear that! Maybe you could mention that in front of the Greek retreat blurb so hopefully reducing the number of people flying to join a Jem workshop? 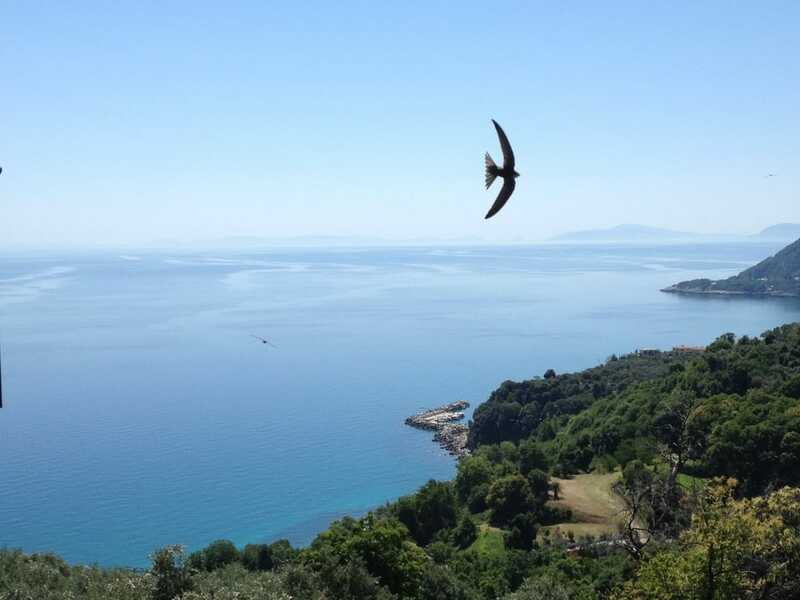 People can then choose to not-fly, maybe spend some time in the beautiful English countryside, even find somewhere with a view as stunning as the Greek island one you show, and join the online conversation. I’m disappointed and I feel it’s wrong on a gut level, no matter the justification. I mean, for f*ck’s sake! Here I am scraping by so I can study sustainability whilst also working full time, and every day I carry immense guilt for even owning a car… mentally I could really do with some of this nice discussion stuff and a feeling of connection and sharing of grief where I am… and meanwhile, more educated people than me are throwing events that you have to fly to?! I quit my high-carbon job and moved back home so that I could reduce my footprint and join in with a community I’d grown up in; I felt I was needed here; to join up with others to better face climate change, and I felt that I needed to enjoy my home before it changes. But I can understand why some may feel called to the Mediterranean and not Kingston upon Hull. Greta Thunberg wouldn’t put up with this sh*t.
Flyless….that is the only answer! Great to meet each other but we can do so much online without having to travel. I’d prefer to save that for in-depth meetings, for planning and the like. Online can be soooo powerful. I’ve made some of my most significant and “deep” friendships online, partly because we can meet over days and weeks and months – and years. A conference is over so quickly. I might try to impress people in an intensive conference setting and not let down my guard. I would actually prefer online first and fly to meet when and if there’s a very deep connection established. .